New Mexico Native Americans from Japan? In my travelings of the internet, I have found an interesting cross reference. When studying ancient metallurgy in Japan in regards to Utsuro-bune, I found reference to a branch of the pre-Japanese culture during the Jōmon period. "It is often compared to pre-Columbian cultures of the North American Pacific Northwest because in both regions cultural complexity developed within a primarily hunting-gathering context"
"had been immigrants into the area about 5000 BCE, and were not linked to the earlier inhabitants, but were receptive to cultural dissemination from the farmers of Central Mexico." That alone wouldn't have drawn my interest, until I came across a documentary on ancient language and they talked about the comparsion between the Zuni language. Not only is Zuni unlike any other language around it, and not only is it similar to Japanese, but the Zuni and Japanese people share certain rare blood markers, while not unique, are interesting. I never fully accepted the common notion of how early humans got to North America, and much of the theories about land bridges and island hopping have mostly been debunked IMO. What if early North America humans were migrants from Japan and China in different waves from 10-20,000BCE with the Zinyu being the latest around 5000 BCE? There is also the less likely possibility that Japanese are originally from North America. If this is so, it makes the idea that the Zuni had advanced (for that time atleast) technology possible, since they would have needed it for the migration. If you consider that with the fact that New Mexico is stereotypically seen as the UFO capital of the world, it makes for some fascinating speculation. Even if you put the conspiracy aside, it might explain the Egypt and South American connection, between substances found in Egyptian tombs that we know only grew in the Americas, to the fascination with pyramid shaped tombs in general. What if the Zuni or some other ancient west coast North American culture took to living in caves as the culture and environment around them changed, and buried some of their ancient technology in New Mexico. Maybe the US found it when doing research into Atomic energy in 1945, and that's why Roswell happened in 1947. Maybe the "UFO" that crashed wasn't aliens, but technology the government found buried in New Mexico and they were trying to fly it back to a base to study. This is all wild speculation of course, but I think it is very entertaining. Any thoughts? Opinions? Thanks for your time. It does not make much sense to compare the Mogollon to the Mongols. The Mogollon were first hunter gatherers and then developed into sedentary agriculturalists. The horse was not introduced to the Americans until they were imported by Europeans during the colonial era. In addition, their burial practices are far from unusual being simple pit burials. This practice also has not much similarity with the Mongols as they traditional practice sky burial or normal burial. This connection between the two seems tenuous. The application of Occam’s razor would put a lot of doubt on drawing language and genetic connections. The land bridge and maritime hypotheses are in fact still going strong with more and more evidence pointing toward early maritime migrations down the pacific coast. There is however no evidence of subsequent migrations after the initial waves especially not in 5000 BCE to the middle of the Southwest. There are not material culture connections at all between the two continents excepting the possibility of some contact in the arctic peoples and Siberians. The assertion that a migration went in reverse makes little sense given what is known about the spread of peoples across the earth using genetics. There is no evidence of some kind of super advanced culture in the Americas or anywhere else and the pyramid thing is not hard to explain seeing as there is only really the one way to easily build a tall structure like that and they are at totally different times. If your talking about residue that likely was introduced by the discoverers. It is not hard to believe that some tobacco got on stuff seeing as how much people smoked at the time. The Japanese themselves claim that they first came to Japan in 660 BCE not so long ago. There were already inhabitants, but the Japanese were more war like and eventually conquered everyone else and imposed their culture and language. Where did they come from? Mongolia is their theoretical homeland, but not much evidence can be found to back this up. The Japanese language is unique, and it is difficult to find another like it in spite of all the loan words. I did several remote viewing sessions to try and find the origin of the Japanese people. North America was always the result. They were too aggressive and the other American Indians drove them out. They constructed large dugouts and sailed across the pacific using the prevailing winds and currents. When they reached the Japan archipelago, they settled at what is now Kyoto and spread out from there. The Zuni are descendants of some of them who held on in this hemisphere. This all begs the question as to there ultimate origin. As with other American Indians, they often say the Star People are their first ancestors. However, there also say they have always been here. 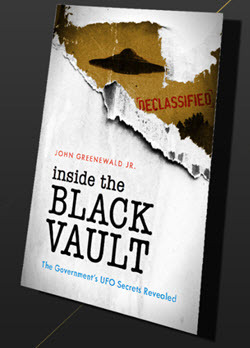 Black vault indeed. Black as in empty because there is no one here. LOL This forum is dead Jim! No we aren't dead yet, but as John already mentioned to you all message boards have taken a big hit to facebooks and other things where people post selfies of their goldfish, and their hamburger at Mcdonalds. You just took the time to write a very interesting thing, and I am sure been the study of scholars a very long time. We all think nothing was here until Columbus, but in fact cultures thousands of years old are here, and in Central and South America. Similar to the idea of ET's this ideas would and will completely derail the Judeo/Christian teachings of when and were man started and evolved. Just how did North and South America evolve and culture of the Asian parts of the world and how does that even fit into religions? That is fascinating about the similarity of burial and of metallurgy, (my favorite subject), and if any discoveries may have a different perspective on when the bronze age and iron age were? The south west did have many cave dwellers, and many drawings are on walls of these caves. Within the Native American cultures, from the far north to south, and east to west, how many also have these similarities, of things like burial and metals or stone age. We do know know now artifacts go back thousands of years, and do they predate the Pyramids? Were these cultures in the south West before or after the great Meteor Crater in Arizona happened? This is a great subjects, don't give up, of the many forums even in our big years, this was not as popular posting in as some the others. The War, Religion, and General were the biggest and most used forums. Like JOhn said we are slower now but don't give up. I'm his Dad by the way. Check the read counts -- many read, but do not post, for whatever reason. Maybe I need to hang out here more again. Just for the debate and to get peoples ire up. timothy, it is always interesting speculating on the origins and travels of man. If I'm not mistaken I believe the Chinese had the Americas mapped out before Leif Erikson ever hit the east coast. Posting to keep this forum alive, this is really great info!